UNITED STATES: The Federal Energy Regulatory Commission (FERC) has given local transmission specialist Anbaric Development Partners permission to develop a shared grid system for Massachusetts' proposed offshore developments. ADP can now solicit customers and sell transmission rights to a 2GW-2.4GW offshore wind transmission system it calls the Massachusetts Ocean Grid. It would consist of two 1GW HVDC transmission lines that would deliver electricity back to shore and two 1GW offshore platforms with AC (alternating current) switching stations linked by a subsea AC cable. 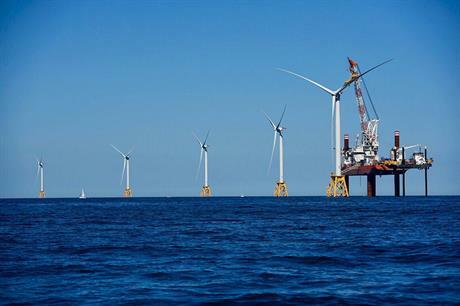 ADP states the project is linked to Massachusetts’ current request for proposals (RFP) for up to 800MW of offshore wind farms, which has a final solicitation next year. Developers can propose their own transmission system but ADP CEO Edward Krapels argued a common offshore interconnection point for multiple developers would be advantageous to each developer building their own system. "The transmission backbone must be carefully designed to optimise the limited number of onshore interconnection points, maximise competition among wind generators, and minimise the environmental impact of the transmission needed to bring offshore wind to market," he added. ADP said the first part of its Massachusetts Ocean Grid could be in place by December 2021, with the full system operating by 2025. Massachusetts passed the Energy Diversity Act in August 2016, requiring electric distribution companies to buy 1.6GW of capacity by 30 June 2027.